This is really awesome. The only glaring issue I can see (so far) is that codeshares are not distinguished from operating carriers. Thanks for both the praise and the bug report! 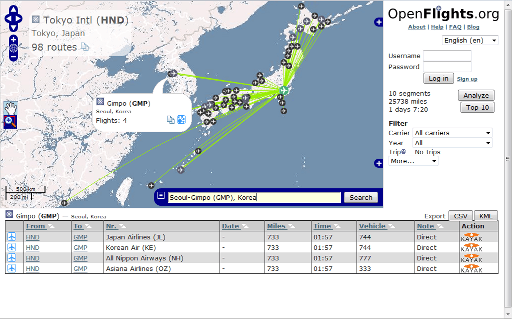 Codeshares are now shown in the detailed flight view, will check if the flight counts can be adjusted to exclude them as well. Amazing really! but why are there some regular airlines without any flights or simply not showing on your list like Asky ( a very important subsidiary of ET ) or Aerocaribbean and Aerogaviota from Cuba, to name just a few? Amazing job with the website i recently discovered. I dont know if its a bug but i noticed a airport that is normally served by an airline isnt showing on the map. I realize nothing is perfect but through trial and error, this website is pretty awesome. Great work!